The largest and holiest cemetery in the Jewish world. It is the final resting place of well-known figures such as Eliezer Ben-Yehuda, Rabbi Abraham Isaac Kook, Rabbi Obadiah of Bertinoro, Rabbi Yehuda Hehasid and Holy Land scholars Rabbi Yehosef Schwartz and Samuel Klein. 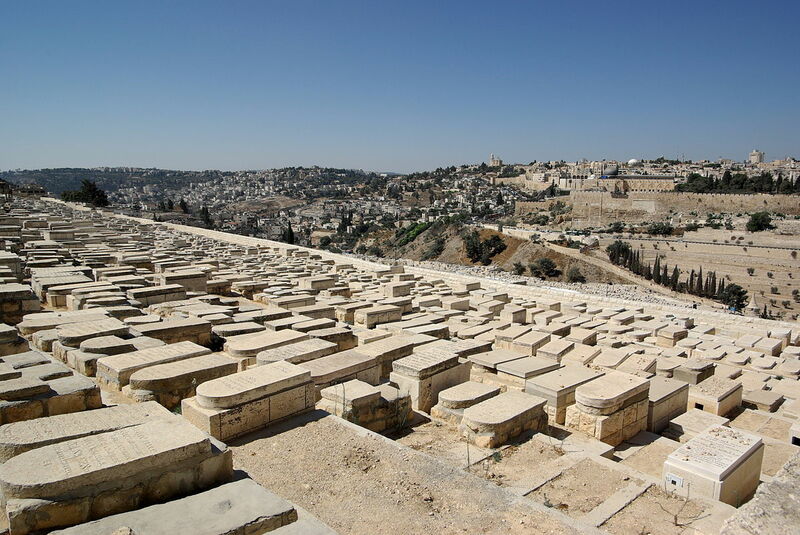 There are many Jewish folk traditions about the virtues of being buried on the Mount of Olives and there are some 70,000 graves, is the Jewish cemetery located on the slopes of the Mount of Olives. Those who are buried there will be the first to be resurrected on the Day of the Resurrection of the Dead, they will be exempt from the torment of having to roll their bodies to the Holy Land along subterranean tunnels, their bodies will not be consumed by maggots and Elijah the Prophet will blow the shofar (ram’s horn) on the Mount of Olives to declare the Day of the Resurrection of the Dead, etc.